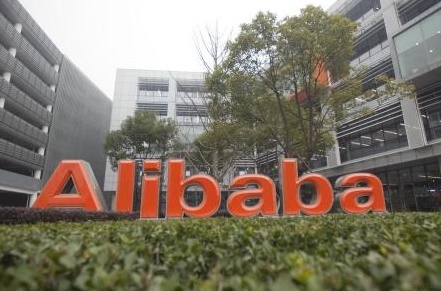 According to Routers.com, Chinese online giant Alibaba Group Holding Ltd (BABA.N) will launch a Netflix-style video streaming service in about two months, which will be called TBO, or Tmall Box Office. TBO will offer in-house productions in addition to content from within China and imported from other countries according to Alibaba’s head of digital entertainment Patrick Liu. By launching TBO, it will enter into a competitive online video market in China, where companies are spending billions of dollars to buy media content to attract enough viewers to become dominant. Looking at Chinese online market, Alibaba, Tencent and Baidu are the top Internet players where Tencent is said to have the most users while Alibaba has business-to-consumer, business-to-business, e-commerce and is considered the biggest gun. Baidu is a giant search engine so can tout the most visitors. Our mission, the mission of all of Alibaba, is to redefine home entertainment, our goal is to become like HBO in the United States, to become like Netflix in the United States. China’s video-on-demand potential is staggering. North America’s overall market is nowhere near the size of China which has about 1.3 billion people, four times the size of the U.S. In terms of online users in China — it’s at least twice the size of the U.S. market. Netflix also is reportedly exploring entry into China, and Alibaba’s new service will already be competing against Tencent, Baidu’s Sohu.com and Leshi Internet Information & Technology Corp Beijing. Alibaba last year acquired a 16.5% stake in Youku Tudou, the second-largest video sharing site in the world behind YouTube. However, it was not immediately clear how the service would fit with Youku Tudou Inc (YOKU.N). Unlike majority of its local rival, about 90% of TBO’s content will be paid for, either by monthly subscription or on a pay-per-view basis and the rest will be free. However, there are hurdles as China’s State Administration for Radio, Film and Television (Sarft) that will limit foreign content on Chinese video websites. Several TV shows, including The Big Bang Theory, The Good Wife, NCIS and The Practice have already been banned. World on verge of Organ banking, what about India?